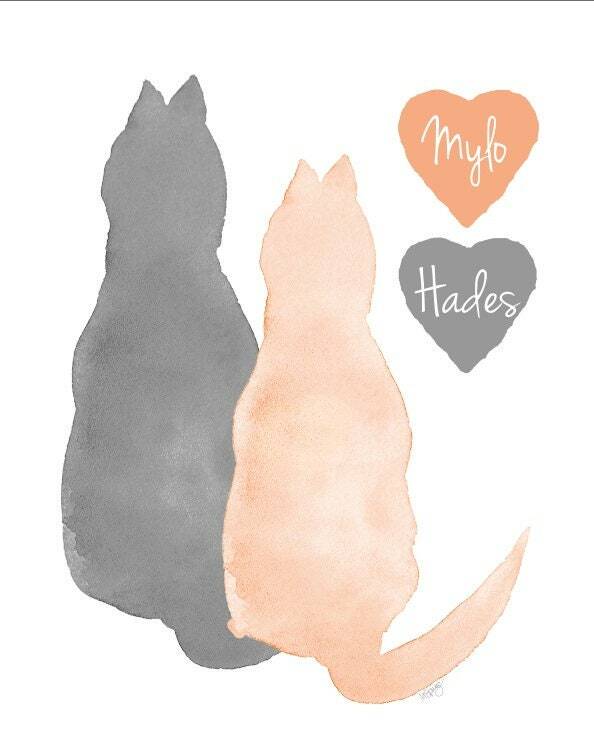 A sweet art print to commemorate or celebrate a pair of beloved companions. This print is recreated from my original watercolor painting. Please add the names to the notes to seller at checkout noting the name associated with the color. 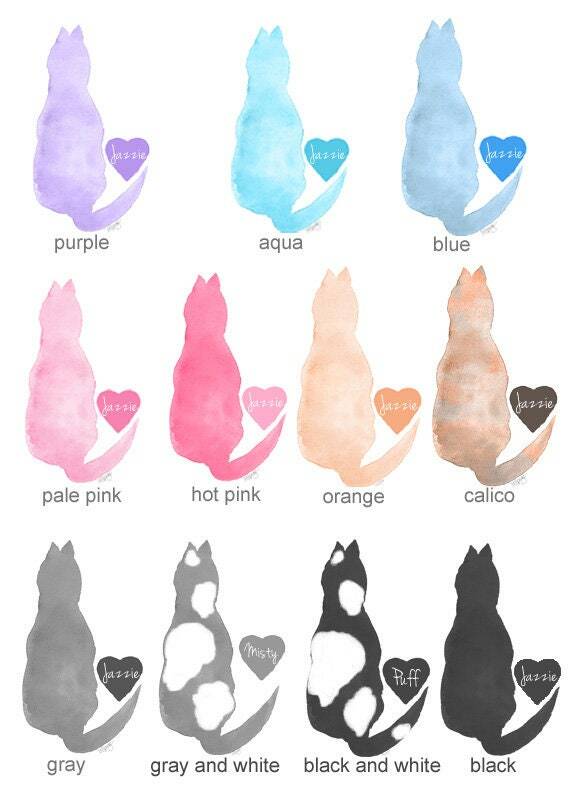 Eight colors are available. I was lucky to cuddle with my kitty Jazzie for 19 years. My friend lost two cats within a few months of each other. I found this for her and she absolutely loved it. Thank you so much. 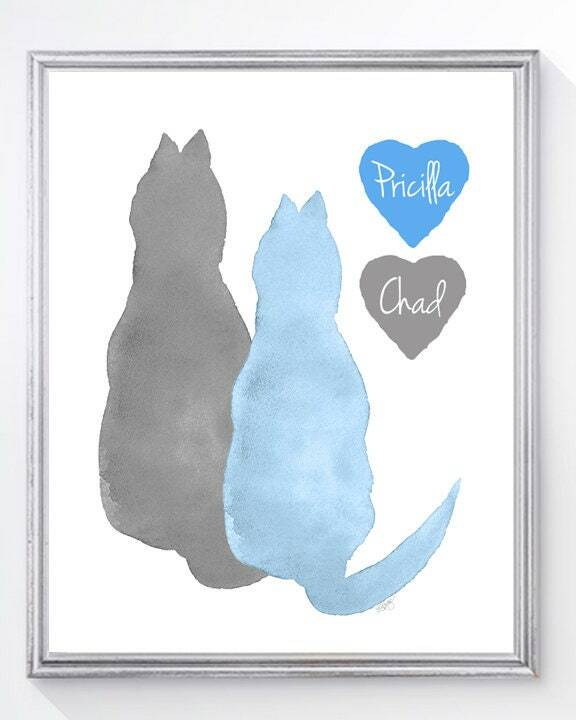 My sister loved this as a memorial of her brother cats that both passed away in last six months.